can you see it in my picture? its hard for me to tell in my pic. im not at home right now to look at it, but i will be in 3 hours. So did you ever get her running. I am in the midst of trying to get my 89 Formula 350 running. It was my first new car I ever bought, and stupid me has let her sit a couple years without running and now I have spark, but no start. I think the injectors might be clogged, but I have a mechanic friend coming down tomorrow, to check it out with me. I did check the fuel pump fuse, but its never that simple for me, and even if it was that, Id have to figure out why the fuse blew anyway. 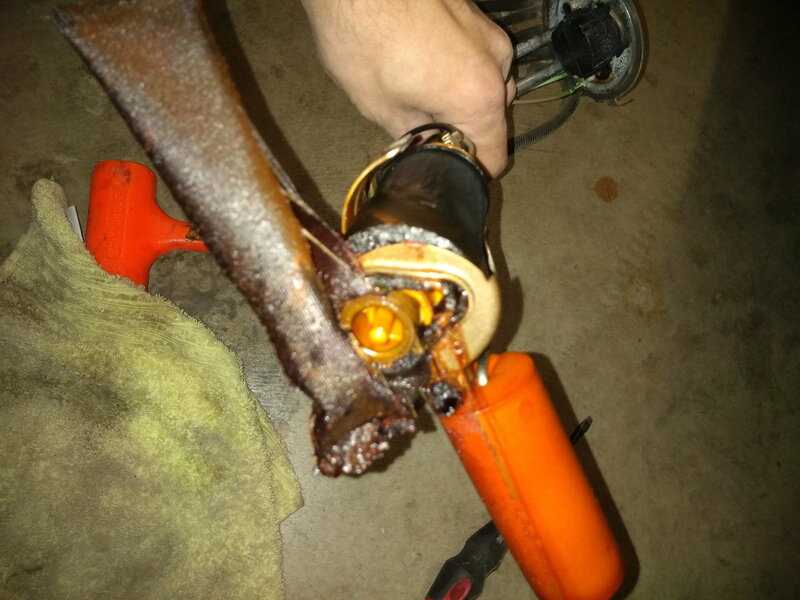 Fuses just don't blow unless there's another issue causing it. Yup, got her running. Runs like it was never stored. Had to replace fuel pump & sending unit. 1100 bucks, runs like a champ. I'm surprised. Now I'm trying to gut the break lights workin so I can git it inspected so I can really stretch her legs out. Why do you think the pump went bad and how come so expensive. How was the gas in there. That's what I was afraid of. I hope my gas isn't ****. I filled it 2 years ago. I hope my gas isn't ****. I filled it 2 years ago. Its a full tank so I'm hoping the quantity kept it somewhat OK. Don't feel like draining a whole tank of gas. Where would I even drain it to. It was a small amount of gas not even a gallon & it ruined the fuel pump & screen & messed up the fuel sending unit. It wouldn't have cost so much if the sending unit wouldn't have gone out. It has the float on it for the fuel gauge. I couldda just left it like it was without replacing the sending unit, but I like to know how much fuel I have seeing that it's only a 13 gallon tank. Drain yer tanks when you store it. That's why I filled it up last time I drove it. Figured the more gas the better chance it would not go bad fast. Well I got her running today. I think the injectors were gummed up. Isn't running perfect but I siphoned out as much gas as I could and I'll add some fresh gas and see if it gets better. I have the brakes all apart right now so I can't drive it. Hopefully have brakes back together in a couple weeks and see how she runs. If I have to I'll pull the injectors and send them out to get cleaned. Trick is don't let it sit at all. Drive it every so often. I'm having an issue like this. Went to go to store car fired and shut right off. It's a daily driver so I immediately looked at fuses they are all good. I have a 92 formula l98 and no fuel pump activity when I turn on the key. Could it be the pump? Try this. There is a terminal on the aldl port that you can hotwire. Add 12 volts and it willl cause the fp to turn on. 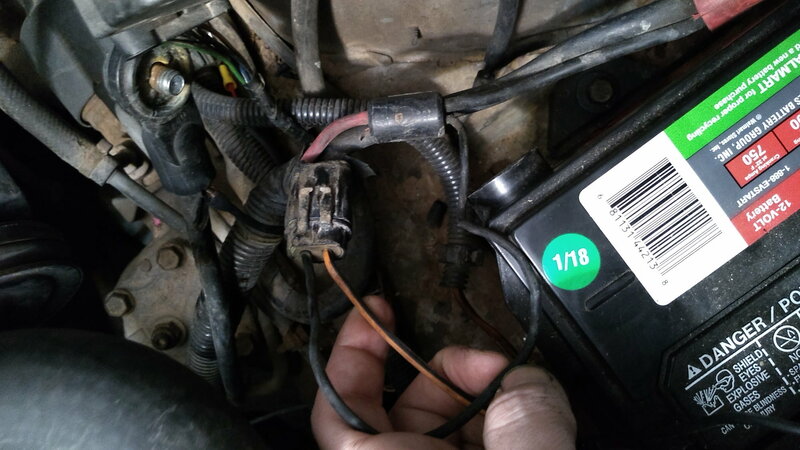 If it does turn on, then the fp relay or the the oil pressure switch could be bad. Also check to see if there is voltage at the fp relay. car fired and shut right off. no fuel pump activity when I turn on the key. Pull the codes and see what is showing. Ok, will do that. It could be the oil press as I have seen a change in press on the gauge but it still works when I crank it over shows 25lbs. There's just no fuel pump activity. Last edited by DANNY25SS; 10-27-2013 at 08:48 AM. There is no place for the wire on the aldl. I pulled and switched relays and also jumped the wires and sent power directly to the pump still nothing. Last edited by DANNY25SS; 10-27-2013 at 11:21 AM. Then if the pump Don't prime, its bad. Check for voltage at the pigtail by the tank. It doesn't have voltage unless I jump it. And then still not functional. Interesting. I don't remember too well, but you might wanna check the fuse or fusible links next to the battery. One might be blown. Also, if the pump doesn't prime when you apply 12 volts, then its bad. Strange that it'll turn on and stop when you crank it. It does not turn on at all. No prressure. Bad pump dude. What ever you do, don't get airtex. I hear too many bad things about them. I must be very fortunate with my airtex because Ive had mine for about 4.5 years with no problems. Thank you for your help through this!!! My battery is located on the passengar side.what is the gray connector for?!? Last edited by Derrickum; 04-14-2015 at 01:58 PM. What color are the wires coming off of the gray connector? That looks very much like a relay should be stuck to it. What do you mean by "shoot the power"? You mean test/probe for power? Between battery and radiator. It's in a 2-wire weather pack fuse holder. I have same problem. Found fuse. Fuse is good and has power, so what now? 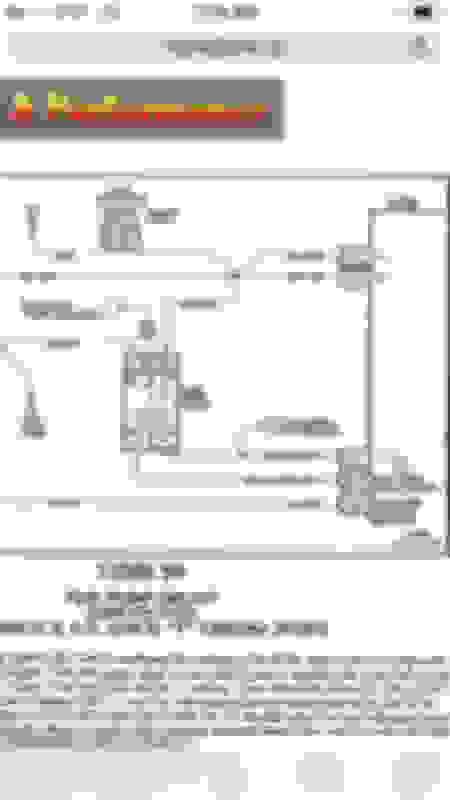 where do we find the schematic? Read the rest of this thread to see how to test Fuel Pump. I have the shop manual for 1987 Camaro. this manual has step by step diagnostics that a Auto Tech would use. thirdgen.org might have these also. So you have a no start situation - engine cranks but no start? 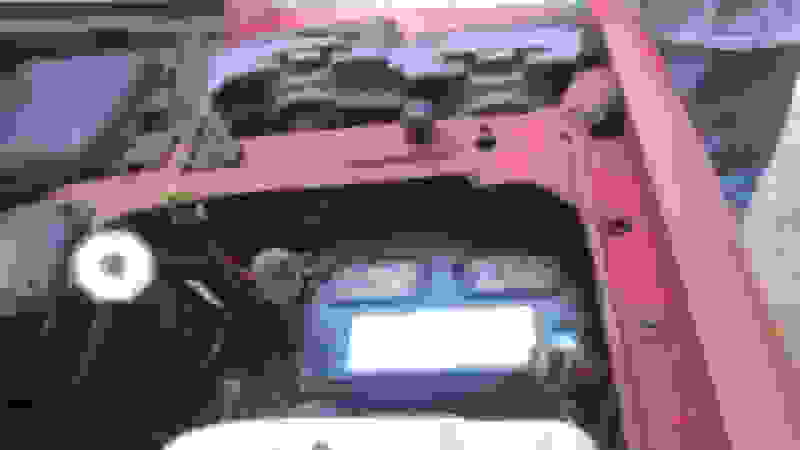 thirdgen.org is a great site I have used to diagnose my no start problem. 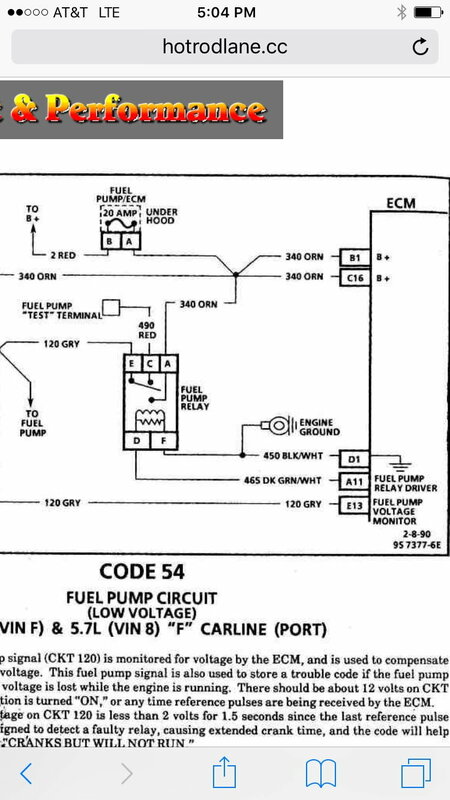 I started by testing the Ignition system then tested Fuel Pump Circuit - but you can test fuel pump first - by following the links below. If your asking about the 20 amp fuse next to the battery. it powers the ecm and feeds power to the oil pressure sending unit for the fuel pump. With the fuse in place yes. Like gm weather pak ? I’m not sure what black wire your referring to. You will need to start checking to see where the voltage drop is occurring. The pump relay or at c100 are good starting points. Looks like the pump was pulling some serious amps. I’m surprised the fuse didn’t blow. You might want to check the connections at the ops. I had a pump once melt the ops and cause a bad oil leak. Ewe, if you still have The pulsator toss it. It’s a good spot for leaks. You won’t hear much of a difference in pump noise without it. You need to start your own thread. Have you done tuneup items yet ? fuel pressure good under a load ?